1. Establish your credentials – Before you deliver your presentation, make it clear why the audience should listen and establish the value you can bring to their time. Tell them about your background or what opportunity you spotted that led to you launching your company, product or project. 2. Focus on the goal of the presentation – Set the goal of what you want people to take-away from your presentation and tell the audience at the beginning. This helps you shape your presentation and gives you a focus for what content is important to use (and what is not!). 3. Establish the credibility of your presentation – All supporting material you use in your presentation, and we highly recommend you include supporting material, should be clearly accredited. Use sources you think the audience will have heard of as this further strengthens what you are saying if it is a familiar name or publication. 4. Use quotes and images – a great quote or a powerful image does a lot of the work for you when presenting to a group and helps break up the presentation, making it easier to follow. 5. Be prepared for questions at the end – At the end of your presentation it is likely people will want to ask questions. Do your research and/ or ask colleagues what they want to know at the end of the presentation in advance. TCT Group are experts at delivering world-class conference programs and in 2018 we are pleased to announce the launch of The Forum at TCT Show 2018. Your company can present new ideas and innovations to the UK's most forward-thinking engineers, designers and product-leads across multiple sectors. 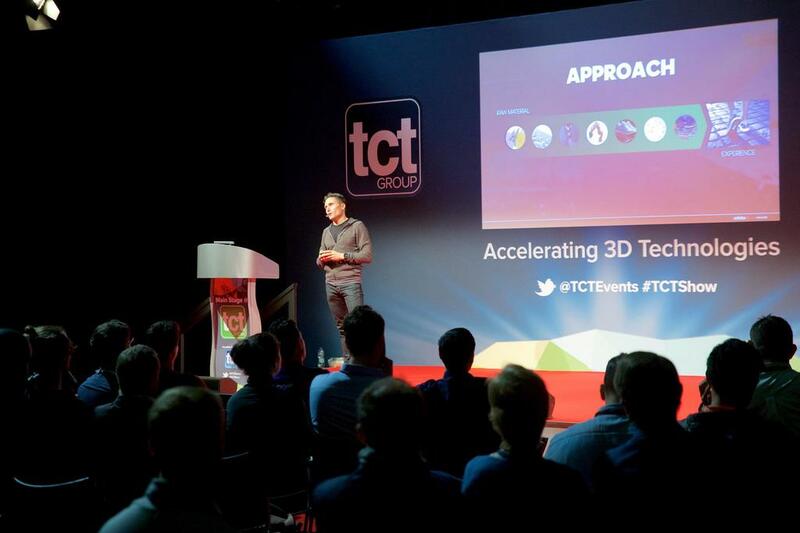 Whether you are looking to hold a press conference, panel sessions to user groups, workshops or launch new products, your company will find a home on The Forum with full A/V equipment supplied and a targeted audience available at the number one event for design-to-manufacturing innovations, the TCT Show.